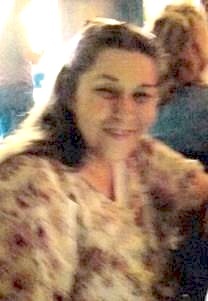 Victoria (Vickey) Ann Ferrell, 60, of Olathe, Kansas passed away surrounded by her loving family on Saturday, December 17, 2016. She will forever be remembered as a loving sister, aunt and friend to everyone she met. Vickey was born on July 28, 1956 in Olathe, Kansas to Victor E. and Shirley J. Taylor. She attended and graduated from Turner High School. After graduating she attended Johnson County Community College. Vickey worked fifteen of Kansas City years for Blue Cross and Blue Shield before she retired. Vickey had an unusual collection of pets that she attended to and cared for. Those being, a monkey, a Great Dane, a turtle and a snake and several exotic birds. She had a passion for music, art, and flowers that were provide by Mother Nature for her enjoyment. She had many plans to travel in her trailer she recently acquired. Vickey is preceded in death by her parents Victor Ferrell and Shirley Taylor. She is survived by her three sisters, Karen Wymer and her husband Alvin of Merriam, Kansas, Sharon M. Ferrell of Helena, Missouri and Pamela J. Morgan of Olathe, Kansas. Left behind to cherish her memory are several nieces and nephews. She will be sadly missed by her pet dog: “Cruzr”. Vickey will be cremated according to her wishes. A Memorial service is scheduled for 2:00p.m. Friday, December 30th at the McGilley & Frye Funeral Home 105 East Loula St. Olathe, Kansas. Visitation 1:00-2:00p.m. Friday prior to the services at the funeral home. A private family Inurnment will take place at a later date.